Heat oil in a pan and add mustard seeds. Once it stops spluttering, add chana dal and urad dal along with cumin seeds. Once dals start changing color, add chopped onions, green chilly, boiled peas, tomatoes n carrots into it and saute it for a min or 2. Add water, salt and sugar and bring it to boil. Now keep the heat low and add semolina gradually in the pan (2-3 spoons at a time), stirring it continuously to avoid lumps. Once it starts absorbing water, cook it for 2-3 mins more. Add a few tbsp water if required to keep it moist. Serve hot with a cup of tea!!! You can also use curry leaves here. 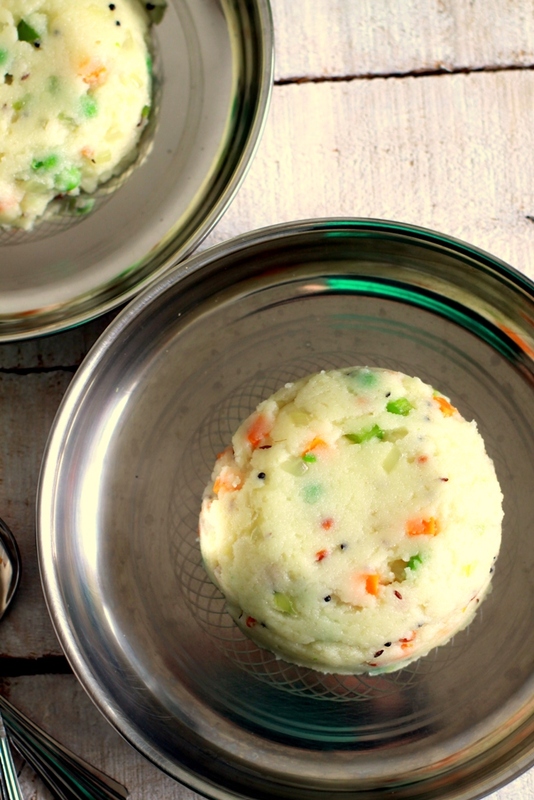 I have never tried upma before, I am very intrigued by it. Sounds like it would be yummy! 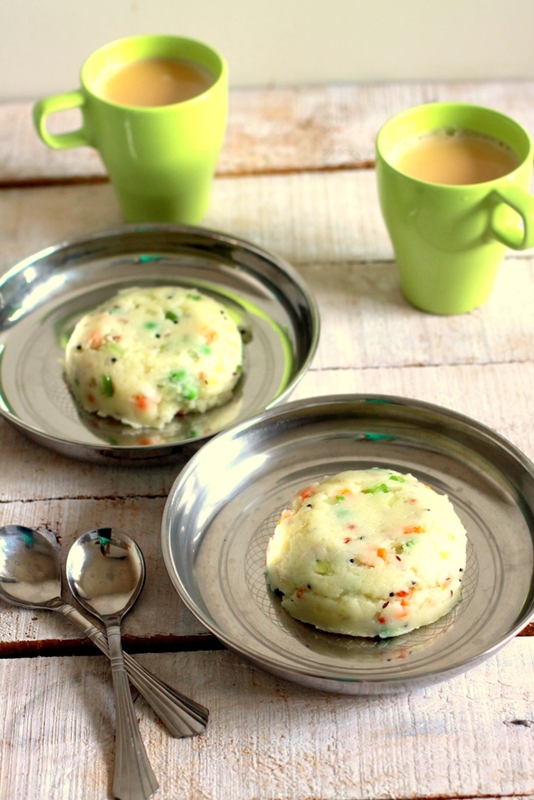 My breakfast today is the same upma. Love to prepare this yummy breakfast weekly once. Yum and double yum. This looks delicious.